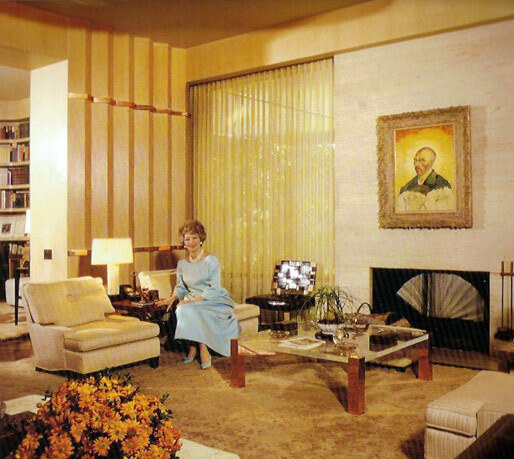 Edie Goetz in her library designed by Billy Haines. Previous photo of Edie and her sister Irene, daughters of MGM studio chief Louis B. Meyer. Edie Goetz wrote Dora expressing her admiration and appreciation. She gave her unwavering loyalty by writing other agencies she only worked with Dora exclusively, and included a copy of that letter. The Goetz home ran with Sterling Silver formal service at all times. Edie Goetz in her library designed by Billy Haines. She loved Dora - they had a deep mutual admiration for decades until Edie's death. Nobody new how to run a house like Edie Goetz, and she didn't make a decision about her staff without Dora, whom she trusted unconditionally.